The UFC comes back from a week off with its first pay-per-view under the new exclusive deal with ESPN. The marquee match-ups on the card are a pair of interim title fights, one at lightweight and the other at middleweight. With lightweight champion Khabib Nurmagomedov serving a suspension and top contender Tony Ferguson sidelined while he deals with personal issues, the door was opened for featherweight champ Max Holloway to follow in the footsteps of the last man to defeat him in the Octagon, Conor McGregor, and become a simultaneous two-division champion. Holloway meets a familiar foe in Dustin Poirier, who handed Holloway his first professional loss in 2012 in the Hawaiian’s UFC debut. Both fighters have improved exponentially since their first encounter, making this clash a chance for both men to show that they are the among the pound-for-pound best. At middleweight, Kelvin Gastelum takes on surging Israel Adesanya for the interim belt. Current champion Robert Whittaker is recovering from surgery that forced him out of his scheduled fight in Australia with Gastelum at the last minute. Adesanya is a world-class kickboxer who has shown improving takedown defense in each of his UFC bouts. Gastelum, a former contender at welterweight, has impressed since making the full-time move to middleweight, combining his crisp boxing skills with his grappling abilities to prove he is an elite, well-rounded mixed martial artist. “Stylebender” has been an impossible puzzle to solve thus far, besting legend and all-time pound-for-pound great Anderson Silva in his last outing. The winner of this fight will earn a date with the oft-injured Whittaker to unify the belts and bring back some stability at 185 pounds. Elsewhere on the card, former Alabama linebacker Eryk Anders looks to get his first win at light heavyweight when he takes on Khalil Rountree. Anders is coming off back-to-back losses, including one in a late-notice fight at light heavyweight to contender Thiago Santos and the most recent in a split-decision loss to Elias Theodorou at middleweight. 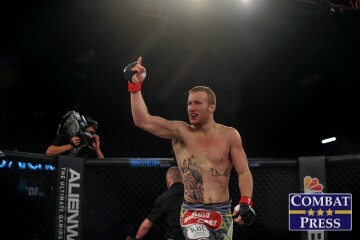 Rountree is coming off a knockout loss to rising star Johnny Walker. Prior to the setback against Walker, Rountree knocked out legendary kickboxer Gokhan Saki. The State Farm Arena in Atlanta plays host to this event, with the early prelims beginning at 6:15 p.m. ET on UFC Fight Pass. The action moves to ESPN at 8 p.m. ET for the televised preliminary bouts and switches to pay-per-view, available for purchase with an ESPN+ subscription, at 10 p.m. ET. Combat Press writers Chris Huntemann and Matt Petela preview the action in this edition of Toe-to-Toe. Max Holloway and Dustin Poirier are set for a rematch, this time with the UFC interim lightweight championship on the line. In their first encounter, which came at UFC 143 in 2012, Poirier submitted Holloway. Will history repeat itself? Huntemann: The first meeting between Holloway and Poirier doesn’t have any bearing on this fight. The year 2012 was an eternity ago — which is odd, considering it’s only been seven years. In terms of mixed martial arts, seven years is a lifetime. Both Holloway and Poirier are exponentially better fighters now, for different reasons. Poirier made the correct choice in moving back to 155 pounds after a run at featherweight. 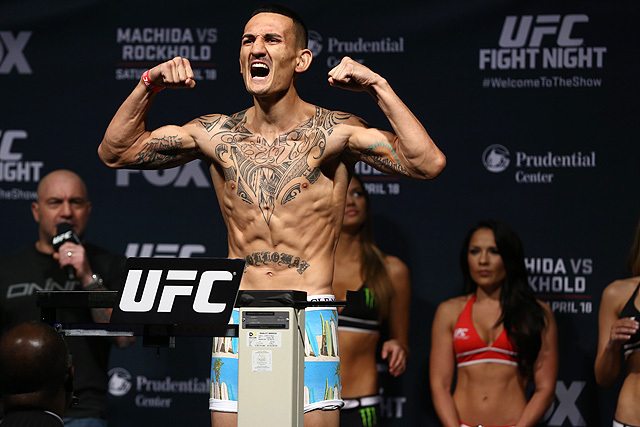 Meanwhile, Holloway has continued to grow and evolve as a fighter, particularly with his striking. Holloway is now one of the best finishers in all of MMA. The Hawaiian even twice knocked out José Aldo, who had previously been considered as the most dangerous striker on the planet. The situation with the UFC lightweight division is still a mess, to be frank. However, this fight is one of the best steps the UFC could have taken to help clarify things. Poirier and Holloway are at the top of their game, and the winner will be a very dangerous match-up for champion Khabib Nurmagomedov. I’d like to say that I expect a five-round battle with both guys swinging early, often and always. However, since both guys hit hard and often, one of them is likely to land a big shot to end the fight. 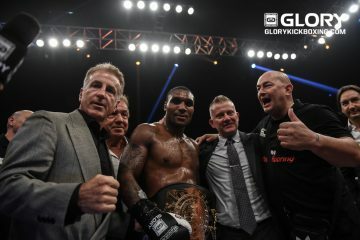 Holloway will do just that and join other current and former greats in becoming a double champion. Petela: Holloway is the more improved fighter since the pair’s first encounter, which really does seem like a lifetime ago. He has dispatched the aforementioned Aldo, the best featherweight of all time, twice. He’s also on a ridiculous 13-fight winning streak. However, this is his first foray into the 155-pound weight class, and it will be interesting to see how he holds up against guys who are the same size or bigger than Holloway, who is a huge featherweight. Poirier won’t submit Holloway again, but I do expect him to come away with a second victory over “Blessed” on Saturday night. Other than the Michael Johnson loss, Poirier has looked incredible at lightweight and remains unbeaten since the Johnson fight. During this stretch, he has taken out elite fighters, including former champions Anthony Pettis and Eddie Alvarez, stopping both men. 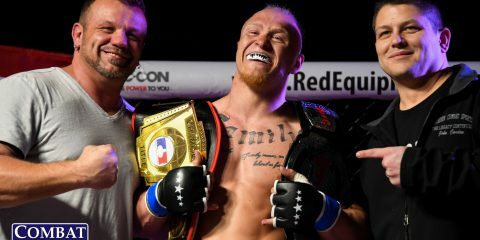 He also has a TKO win over Justin Gaethje, who showed in Philadelphia that he is among the best of the best at lightweight. This fight should be a classic, and even if Poirier finishes Holloway late in the fight, as I expect he will, fans will be clamoring for a rematch. With the current state of the lightweight division, though, we may have to wait another few years to get the third part of this trilogy. Israel Adesanya has looked like the next big star for the UFC since making his debut with the promotion in 2018. He had a passing-of-the-torch moment with his victory over Anderson Silva at UFC 234. Does he keep rolling when he takes on Kelvin Gastelum for the interim middleweight title? Petela: Adesanya has looked better and better in each fight he’s had in the UFC. He is certainly a difficult test for anyone at 185 pounds. Since returning to middleweight, Gastelum has only been beaten by former champion Chris Weidman, whose dominant wrestling proved to be too much for Gastelum. As great a striker as Adesanya may be — he’s perhaps the best in the entire organization — he doesn’t pose the same grappling threats as Weidman did to Gastelum, who is no slouch in the wrestling department. Adesanya will get the better of the action on the feet as long as he can keep Gastelum at range. However, in the later rounds, Gastelum will be able to close the distance, land a few heavy shots and overcome “Stylebender’s” takedown defense to finish the fight with ground-and-pound. Gastelum will hand Adesanya his first loss and become the interim champion. Huntemann: For the record, I don’t consider Adesanya’s victory over Silva as a “passing of the torch.” If Adesanya fought Silva in 2012 and beat him? Sure, that definitely qualifies. But defeating Silva, whose best days are clearly behind him and who has one gift victory in the last six and a half years, in 2019 doesn’t quite have the same effect. That said, Adesanya is deserving of this opportunity. He’ll beat Gastelum for the interim title, too. Gastelum has looked great since moving to middleweight permanently and facing some of the division’s best. However, Adesanya’s fight IQ increases with every outing. The kickboxer is smart enough to stay away from Gastelum’s power. Adesanya has already put on some impressive striking performances, especially against Derek Brunson at UFC 230. He’ll capitalize on his striking edge, leaving Gastelum flat-footed. Adesanya punches his ticket to a unification bout with middleweight champion Robert Whittaker. Zelim Imadaev, Boston Salmon and Randy Costa — do we need to know these names? Huntemann: I’m going to call dibs on Salmon, just because I am in love with his name. His first name is a city. His last name is a food. How can you not love the guy already? Record-wise, Salmon looks like he has potential. He hasn’t fought since 2017, but that’s because he dealt with multiple fight cancellations. His only loss was a close split decision, and he has four finishes in his six career wins. Salmon has a tough test in Khalid Taha, who only has two losses in 14 career fights, but I firmly believe in the power of Salmon’s awesome name. It will carry him to victory. Petela: From a guy with the first name Boston to a guy who trains near Beantown, my eyes are on the up-and-comer Costa. He only has four professional fights, but he has won all of them by knockout or TKO. Three of those four finishes came in the first minute. He has a tough first test in Brandon Davis, and he resides in a crowded featherweight division is crowded. Yet, a win over Davis will draw the eyes of the UFC brass and start his long trek toward title contention at 145 pounds. 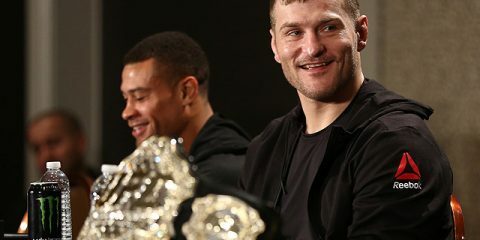 Who’s the biggest winner at UFC 236? Petela: Gastelum. He’ll beat Adesanya, and that should once and for all prove that middleweight is his proper home. Gastelum is on the smaller side in terms of height, but he has knockout power in his hands, even up a weight class. Let’s not forget that champion Robert Whittaker is also a former welterweight, and he’s next up if Gastelum claims the interim strap. This means Gastelum will get even more time to acclimate to middleweight before having to face the larger guys in the division, like Yoel Romero. Huntemann: I’m picking Adesanya to beat Gastelum, so I think he will be the biggest winner by virtue of claiming the interim middleweight title and taking away Gastelum’s opportunity to fight for a title, again. It will be rotten luck for Gastelum to lose on a title opportunity twice in a row, but, hey, them’s the breaks. No one said MMA was a meritocracy. 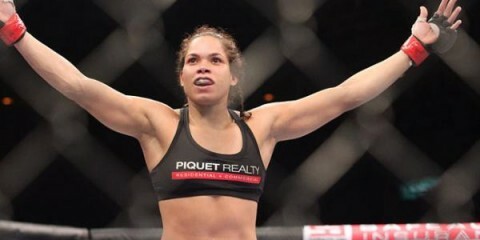 Who’s the biggest loser at UFC 236? Huntemann: Poirier. Since I’m picking Holloway to beat Poirier, I think Poirier will end up having a lot to lose with this fight. At least if Holloway loses, he can just go back to defending the featherweight title. If Poirier loses, he may end up being the odd man out in a still-crowded lightweight division. If Poirier wants to be the undisputed champion, then he has to win this fight first. Petela: Ronaldo “Jacare” Souza. No matter what happens in the fight between Adesanya and Gastelum, Jacare is going to be on the outside looking in at a title shot he so desperately wants — and will have earned if he is able to win his fight in South Florida. Robert Whittaker never actually won the undisputed title and has never truly defended the belt since Yoel Romero missed weight for their rematch. It’s time Whittaker gets stripped of the belt. The UFC should make the UFC 236 winner the outright champion, and have Jacare step up for the next title shot (if he is victorious in South Florida). If the UFC lets Whittaker hold on to his title, then Jacare has a long wait ahead of him. Petela: Belal Muhammad and Curtis MIllender. Both guys had winning streaks snapped in their last outings, so they will look to get back in the win column emphatically on Saturday night. Muhammad had won four straight until losing to Geoff Neal in January, and Millender had rattled off nine in a row before he was submitted by Elizeu Zaleski just over a month ago in Wichita, Kan.
Huntemann: The fight between Nikita Krylov and Ovince St. Preux has the potential for some nice violence. Krylov is a bit of a cult favorite among some fans due to the multiple quick and violent finishes in his career in the UFC and elsewhere. These two men actually fought once before, at UFC 171 in 2014, and OSP won in the first round by breaking out the rarely seen Von Flue choke. OSP is coming up on his last chance to make a run at light heavyweight, so he better pull something else out of his bag of tricks to win this fight. Huntemann: A nice, strong bourbon and a cigarette will be needed. Maybe some Lagavulin if you really feel like splurging on good booze, or just a simple Jim Beam or Jack Daniels. Either way, you’re going to need a stiff drink to calm the nerves after watching the main and co-main events, both of which should be awesome fights. You might need a smoke to enjoy feeling what can only be compared to post-coital bliss. Petela: I agree that you’re going to need something strong to keep you calm with the potential for fireworks at the top of the card. For that reason, I’m recommending Jameson. While the smell of Jameson brings back certain memories I’d rather forget, I’ll make that sacrifice out of respect to featherweight champion Max Holloway and try to get my hands on one of his signature bottles of the Irish Whiskey, which is one of the best troll moves in recent history. 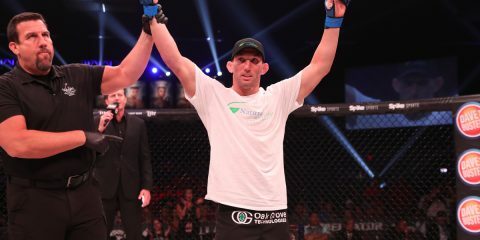 Matt is a lifelong fan of martial arts who, like many others, caught MMA fever after watching Forrest Griffin and Stephan Bonnar during the first season of The Ultimate Fighter. 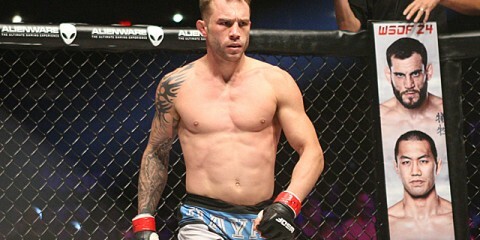 Since then, his passion for combat sports has grown to include Muay Thai, kickboxing, boxing and Brazilian Jiu-Jitsu. A lifelong East Coast resident, Matt has lived in Philadelphia, Boston and now resides in his home state of Maryland.